Every year brings something new to the market, both for restaurant owners and customers. Those trends may lead to some small and big changes, they may affect restaurant marketing or customer’s service, they might be complicated or very simple, but it all comes down to one thing: developing your business and making it more lucrative. One might be sceptical while reading all this. Why would we believe that these trends will stick into the market and last longer than just a season? Because they’re productive for restaurant owners, they support restaurant marketing and they’re very convenient for the customers – that’s why. Some of the following examples are just next steps of what has been already implemented in the business in 2018, some are brand new shiny tools to use in restaurant marketing. No matter the background – you should know them all. Your effort as a restaurant owner or a manager should go straight to restaurant marketing this year, because that’s where the real business happens. As statistics show, more and more people order food online and what we thought was a boom in 2018 is going to be even bigger in 2019! According to studies Americans have spent more than $65 million on ordering food online and if this trend will keep up – and it will – the numbers are going to hit $137 million in 2023! No doubt 2019 is a good time for you to develop your restaurant marketing and sell your product online (source). Online food ordering portals are going to be old news in 2019 – the time of online food ordering system is coming! 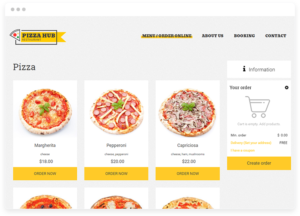 This kind of alternative, like UpMenu system is a way to go for those restaurant owners who really want to stand out instead of being just a part of the mix that a typical online food ordering portal is serving. When you use it, you’re independent, you’re promoting your product properly and you’re in touch with your customers. You can see and manage their reviews and you can provide them some special offers and customer loyalty scheme! 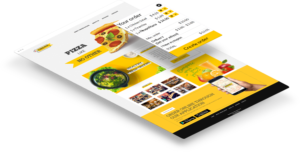 If you want to find out more about what benefits an online food ordering system can bring you, read the following article: 9 advantages of online food ordering for restaurants. 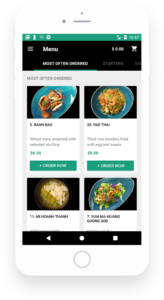 As if using online food ordering system wasn’t convenient enough, there’s going to be a restaurant mobile application in demand in 2019. If you have some regular customers in your restaurant, they are going to by psyched with an opportunity to order your food even without being obliged to open their laptops – especially if they’re from Generation Y and we all know that this group just loves to order food online. As a person who has to run or delegate running online restaurant marketing you are aware of how important is using social media. But as it turns out, it could give you much more than just a chance to get through to your customer and make an add. Domino’s Pizza made a way through ordering food on Twitter and rumor ha sit this trend is going to stay with restaurant owners and the hungry customers. 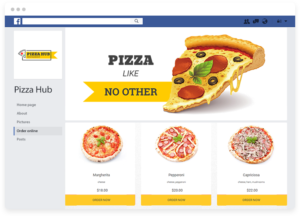 The ordering process would not be possible without a special application, of course, but still – it sounds like a game chager in online restaurant marketing. Yesterday we thought that using drones for transportation is just a pipe dream and tomorrow one might expect their food delivery in a shape of drone! Technology will never stop surprising us and here’s another surprise: it’s not humans, but actual robots will get your customers their food. It’s an expensive trend to follow and it’s not going to be that popular at once, but it is going to happen very soon for some restaurants. There’s no question that restaurant marketing is developing together with online food ordering trends. Keep up with them if you don’t wnt to fall behind your competition. Put some effort into your restaurant marketing and invest in good online good ordering system to see how your restaurant can blossom.